So… you are struggling with thick toenails and have no clue how you are going to trim them? Are you embarrassed to go to the spa and get a pedicure with the shape you have allowed your nails to get to? How in the world are you going to fix these ugly nails? I have your answers right here! I have been in practice over a decade as a podiatric physician. This is my specialty! I do this on a daily basis. Feel free to read more about me by clicking HERE! Go ahead… keep reading and let me tell you just how to trim thick toenails! Please refer to What Is Toenail Fungus? and Symptoms of Toenail Fungus for help in diagnosing what is causing this unsightly problem of thick, crumbly toenails. I have also included a link to Treatment Options for Toenail Fungus for a review of the multitude of treatment regimens out there because you HAVE to treat this disorder! But… for now, let’s get down to business. Let me show you exactly how to trim your thick toenails. Trimming thick toenails is a much more difficult task than trimming normal toenails. Because you want to reduce your toenails in both length AND thickness. You want to try and get them to appearing normal again. Most people with thick toenails dread the thought of even beginning to attempt to trim them to an acceptable appearance, but I am here to ensure you that there are some ways to make this challenging task a little easier for you and prevent the condition from getting too far out of hand! 1. First, soak your feet for about 10 minutes in warm soapy water! That is easy enough, right? Soaking aids to soften the nail to make trimming easier. Just relax while soaking and enjoy yourself. Everybody needs a little pampering now and then! 2. Second, after soaking, utilize a towel to dry your feet thoroughly including the toenails and the areas between your toes. 3. Third, get comfortable by sitting on a chair or in the floor and place an old newspaper or paper towels on the ground under the feet to catch your clippings. Comfortable? Now…it’s time to start clipping away!!! As far as instruments to use for the next few steps of trimming thick toenails, there are a couple of options. 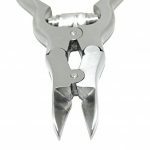 Some wish to utilize mechanical clippers or nippers and others find that it is much easier to utilize electric nail files. Whichever instrument you decide to utilize, hygiene is key! Make sure that you sterilize the instrument you decide to utilize by one of two methods: Either wipe with rubbing alcohol or boil the instruments in water. My favorite method is simply rubbing the edge of the instrument that will touch your nails with rubbing alcohol. 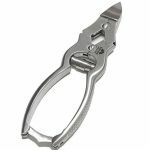 If mechanical clippers are your method of choice, please click HERE to view my all-time favorite clipper of choice for thick toenails! The Equinox Heavy Duty Toenail Clipper is very inexpensive and will make clipping your toenails a breeze with its double action ability to clip through even the thickest toenail with minimal effort. To read my review of these amazing nippers, click HERE now! Should you decide to utilize an electric nail file for filing your thick toenails down in both length AND thickness, then the Medicool MED2191 Turbo File 2 Professional Electric Nail Filing System is the best instrument for you! You are a lot less likely to have any cuts or “oopsies” when you use an electric file to reduce the nail in both length and thickness. In fact, this is my personal product of choice as I have experienced that reducing the thickness of the nail is by far easier with this file. Of course other files are available, and I have actually tested most of them on the market, but… this particular one is far superior to the others. I have created a review of this product which can be found by clicking HERE! You have prepared your feet and have your instrument of choice ready, but how EXACTLY do you begin the trimming part? Well… continue reading and allow me to tell you! 1. You never want to cut the toenails too short! In doing so, you both increase the probability of nail infections (we do not want that) and increase the likelihood of the toenail becoming tender and inflamed. So… finding a good length is imperative… not too long, but not too short either! Just past the edge of the skin is perfect! 2. You always, always, always want to trim the toenails straight across, as opposed to curving the nail! This helps to prevent an ingrown toenail from occurring! If you are really particular and prefer a more rounded-shaped nail, I still recommended initially cutting the nail straight across and then following with a file to give the edges of the nail just a slight curve. 3. Small clips are key with thick toenails! Start at one side of one nail and take small cuts in a straight line across the entirety of the toenail. These small cuts help to prevent splintering or splitting of the toenail. Again, remember not to round the toenail at the corner – cut straight across. Repeat with each toenail. 4. Upon completion of trimming all of the toenails, it is imperative to remove any sharp edges or corners that could catch on pantyhose or socks. Do this by utilization of an emery board or nail file (again… I prefer this linked electric nail file) and gently file the edges! Important note: LEAVE YOUR CUTICLES ALONE!!! Do not trim or “push back” your cuticles as this can disrupt the natural barrier between your toenail and skin and lead to further infections. Lastly, I do want to mention that if you do have Diabetes, Poor Circulation, reduced sensation in your feet, or if you are taking anti-coagulants such as Plavix, it is very important that you talk to your doctor or podiatrist to see if it is safe for you to care for your own toenails! Continue to next section: Antifungal Nail Polish – Does it Exist and Can We Use It? Very useful information you have here. Many people may not think too much about there nails and the possibilities that could occur just by not cutting them the right way. I will be more aware from now on. Thanks! Thank you for the kind words Britt! I am just trying to raise awareness at the importance of how to trim thick toenails! ((: Many people just simple don’t think about it! Thanks again for visiting the site and should you think of any questions or other comments, please feel free to leave a note! Enjoyed reading your article on trimming thick toenails, I never thought about soaking my toenails before trimming them before your article. I liked very much how simple you made this process with step by step instructions, your tips are easy and simple for anyone to have success trimming their thick toenails from now on. Thank you for your comment! Soaking really softens you nails allowing ease of trimming! Feel free to visit the site anytime for additional tips in caring for your feet! I have long thick toenails and I never realized that when I shorten them is when I have more problems. When I get a pedicure sometimes they trim them back way more than I want, which is frustrating. But I also have thick cuticles, and trimming those is bad? I’ve never heard that before but it’s awesome to get a medical vs. cosmetic perspective! Hello and welcome! 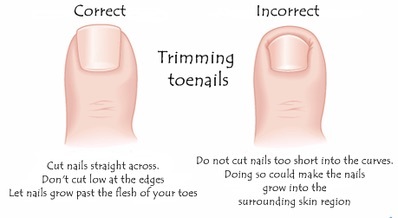 Yes… cutting your toenails too short puts you at an increased risk for complications to occur! It can lead to ingrown toenails and increases your chances of developing toenail fungus! Pedicures are so nice and relaxing (that is the woman in me), BUT… you have to be SO careful! I definitely recommend taking your own polish! I do have some favorite, antifungal nail polish that I can recommend! Also… please NEVER let them push your cuticles back! This is just opening that barrier between the skin and nail where fungus can easily enter and take up shop! I sure hope that you have gained valuable information from my site! If you have ANY additional questions or concerns, please feel free to comment below and I will get back with you! Thank you for this article. I wish I would have had it to refer to when my grandmother was alive. I can remember the clippers breaking when I would try to cut her toenails for her. I will also be checking out some of your other content as I have a pinky toenail that seems to be getting thick. I’m anxious to see what might be causing it. I am glad that you found my article on How to Trim Thick Toenails useful and I am so sorry to hear about your grandmother! 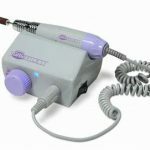 Should you find yourself having a hard time cutting thick toenails in the future, there are several products that can be of great assistance… I have provided a link to my product reviews so that you can read all about these useful tools HERE! Also I would like to mention that if your pinky toenail is getting thick, TREAT IT NOW! Thickness is definitely a symptom of toenail fungus and it is best to treat it early in order to avoid complications AND because the treatments for toenail fungus are more efficient and work faster the milder the case of the disease! 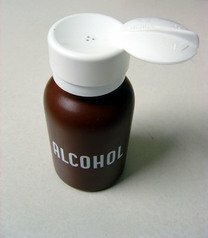 I hope that this helps! If you need any other advice or have questions on anything please feel free to comment and I will get back with ya! This is a wonderful article and so beautifully and sensitively presented. My hubby has very thick nails so I think we should try out your technique tonight. My nails flake and split all the time so I need to keep them trimmed or they tear. I had not realized they should be cut straight, I have always followed the shape of the end of my finger and like wise with my toenails. Thank you for writing this post . Hello Judy! I am so glad that you enjoyed my article! I am so sorry that your husband is experiencing thick toenails. I am always surprised to find out that MOST people simply have never been instructed on how to trim thick toenails! But… I am so glad that I have the opportunity to educate on this! Getting thick toenails can definitely be a challenge. The product that I recommend, the Medicool TurboFile definitely makes this process a LOT easier! Also… I will say that treating toenail fungus is exponentially easier the quicker that you get on it! I discuss multiple treatment options in my product reviews post! Please see this and decide one of these proven treatment methods in order to avoid the potential complications that can occur from not treating toenail fungus! I am thrilled that I could be of some assistance to you… I really am here to help! Let me know if you have any additional questions or concerns via commenting below and I will definitely get back with you! Have a great evening and good luck with your hubby! I really like your advice on how to trim thick toenails. All of my little toes have thin nails, but my big toes have thick nails that are often very difficult to trim and it often takes some strength to cut them. I like your idea of soaking your feet (and nails) before you have a go at them. It sounds like this will soften them up to make it easier to cut. The clipper you mention sounds beneficial too and will make cutting a breeze. Your finishing touches are perfect! I seem to always end up with some pointy, rough tips on the just cut nail. I think taking an emery board to them is the best way to get them smoother, rather than trying to cut them into a curve as this could give me an infection. Hello Jen! Thank you for visiting my page! I hope that the information you read on how to trim thick toenails was very beneficial! If you have ANY questions regarding this or any other problem with the feet, feel free to comment anytime! I am here to help! Have a great afternoon!